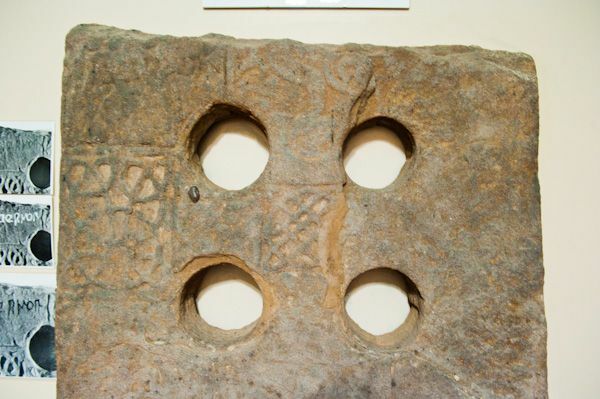 When the pulpit of the ancient chapel of St Palladius in Fordoun was dismantled in 1787 an ancient carved cross was discovered hidden beneath it. It seems possible that it was placed there to protect it during the upheavals of the Scottish Reformation. 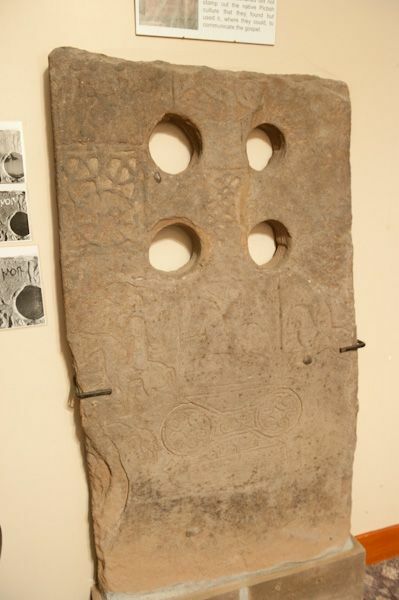 The Fordoun Stone is a Class II Pictish cross slab carved with a Latin cross and decorated with traditional Pictish symbols including a double-disc and Z-rod, a hunting scene, and a sea monster. One of the features which makes the Fordoun Stone so interesting is that there are two inscriptions, one in Ogham and the other in Hiberno-Saxon miniscules - an early form of Roman script. 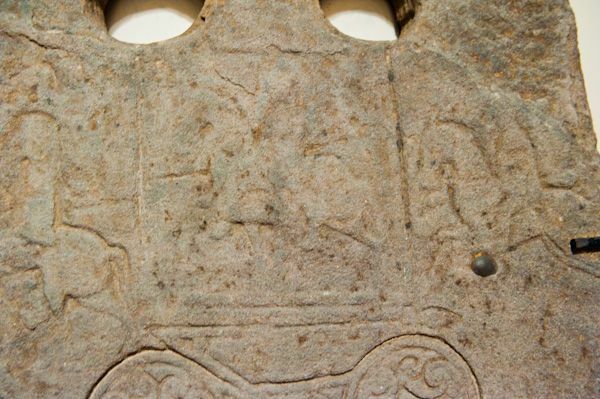 One possible translation of the inscription is 'Peace be with Idarnoin'. 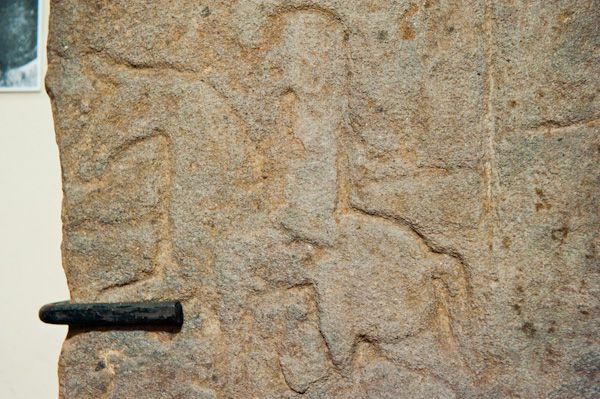 Idarnoin was a 7th century Pictish bishop. The stone originally stood in the ruined chapel but was moved into the vestibule of the church in 1966. The church is interesting, and the ancient medieval chapel is fascinating. There is a useful information panel outside the church entrance explaining the history of the site. Unfortunately, the church is usually closed. I was lucky enough to arrive just as someone was cleaning the church, and she kindly let me look at the stone and take a few photos. But she informed me that the church is usually kept locked. That's a real shame, for the stone is really an interesting historic attraction and it would be great to make it readily available to more people. 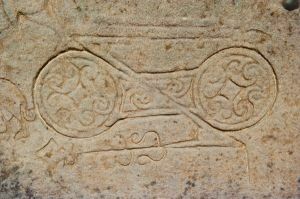 The stone is located in Fordoun parish church, but the church, confusingly, stands on the edge of Auchenblae village, not in the nearby village of Fordoun. A number of historic houses are nearby, including Fasque, the former country residence of the Victorian Prime Minister, Lord Gladstone.